Principal conductor of the Lahti Symphony Orchestra since the autumn of 2011, Okko Kamu began his musical career as leader of the Suhonen Quartet and a violinist in the Helsinki Philharmonic Orchestra. He started out as a conductor at the Finnish National Opera, where he had previously served as leader of the orchestra. In 1969 Kamu won first prize in the international Herbert von Karajan conducting competition in Berlin, which launched his international career in earnest. Known for his versatility as a musician, Okko Kamu has conducted almost all of the world’s foremost orchestras. 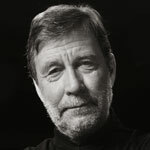 He has been principal conductor of the Finnish Radio Symphony Orchestra, Oslo Philharmonic Orchestra, Finnish National Opera, Stockholm Sinfonietta, Helsingborg Symphony Orchestra and Helsinki Philharmonic Orchestra, and principal guest conductor of the City of Birmingham Symphony Orchestra, Lausanne Chamber Orchestra, Singapore Symphony Orchestra and Copenhagen Philharmonic Orchestra. As an opera conductor he has performed at such venues as the Metropolitan Opera in New York, Covent Garden in London and the Bolshoi Theatre in Moscow. Since 2006 he has been artistic director of the ‘Music! Ruovesi’ chamber music festival, appearing as a violinist in various instrumental ensembles. Okko Kamu has an extensive discography, including numerous acclaimed discs for BIS. Among these, his recording of The Tempest by Sibelius (BIS-1945) was awarded a Diapason d’or de l’année in 2011, and received top marks (’10/10’) on the web site Classics Today.